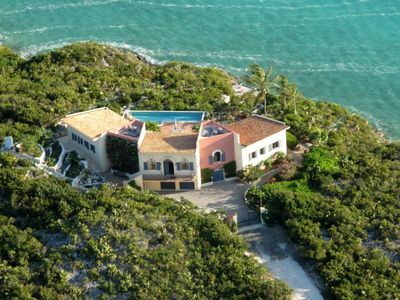 Cozy Beach House on Kite Boarding Beach,W/Private Pool and kayak. 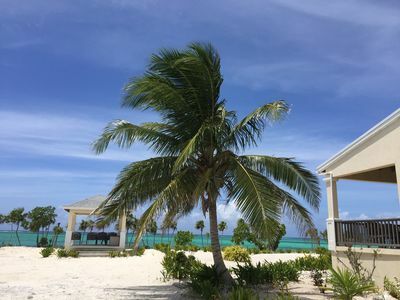 The Silver Palms Cottage is tucked away at the water's edge in a small cove on the south coast of Providenciales, overlooking the tranquil turquoise waters of Long Bay Beach. This charming little cottage offers self-catering accommodation for a maximum of 6 people in three cozy bedrooms. 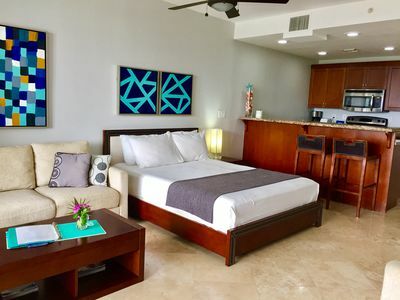 It is the ideal spot for a romantic get-away or a fun family vacation. 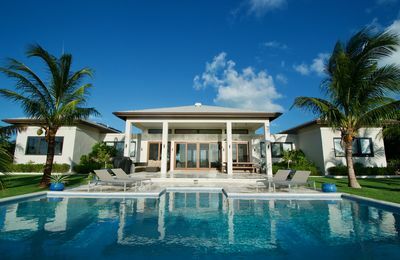 Silver Palms Cottage is the perfect alternative to the traditional hotel and resort experience. 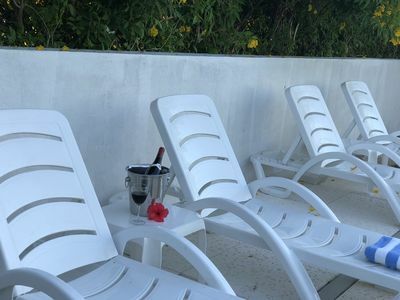 Our comfortable little cottage can be your private beach home for a weekend, a week or a month. 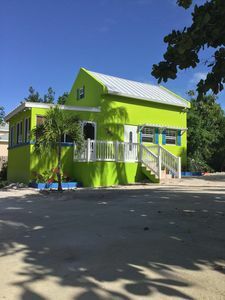 The cottage, decorated in a causal but homely style, includes a comfy living room complete with cable TV, DVD player and iPod dock, a fully equipped kitchen, and bedrooms with a comfortable queen-size, double and twin beds. The spacious deck, with panoramic views of the bay, is furnished for alfresco dining. 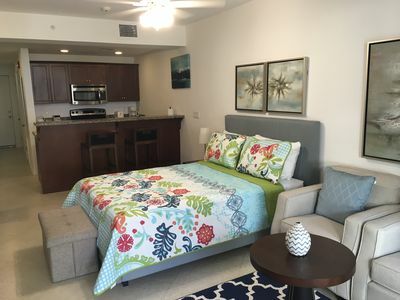 Step off the deck on to miles of wide, natural, virtually uninhabited beach that invites you for leisurely walks, shelling, and sun-bathing. You might see an occasional beachcomber or a couple of day-trippers, but most of the time you’ll have the sands to yourselves. Quiet and secluded, yet accessible to everything. We are just a few minutes from many fine restaurants, shops, galleries, supermarkets, and banks. Golfing and boating/ sailing facilities are also in close proximity. For the adventurous, many exhilarating excursions and unique adventures are available through local tour operators. Some of the island's best water activities can be found right here. 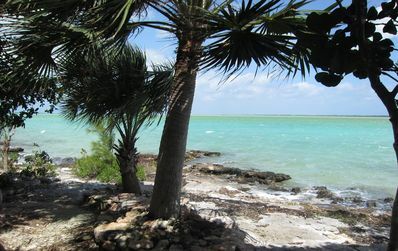 Long Bay beach is the premier beach on the island for kiteboarding. Kite-boarding takes place just a few kilometers away. The mangroves that flank the eastern coastline of the property offers the perfect opportunity of kayaking and fishing. 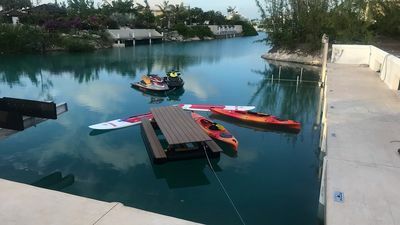 Inflatable Kayaks and Canoe are provided at the cottage for the use of our guest. Explore the nearby coastal mangroves with this lightweight, easy to use inflatable kayaks and canoes. If you are in search of peace and harmony, just enjoy the serenity of your own private cottage. Relax on the deck and soak up the warm sunshine or toast marshmallows while sitting at your private fire ring and watching the magnificent sunsets. Alternatively, you can visit one of the many spas on the island. 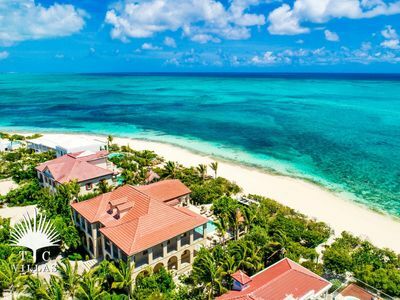 There are only a few private, non-condo, beach homes available on Long Bay Beach, Providenciales that are directly on the sand and this is one of them. The property is located right on the beach. 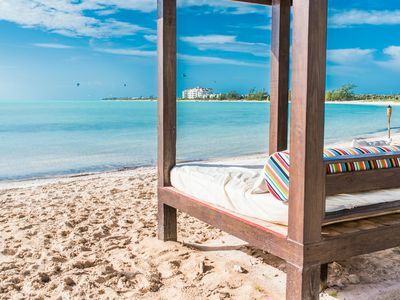 You step off the deck right on to the beach. Alternatively, spend the day wadding in our 27ft swimming pool. A refreshing dip goes a long way after a hot day of site seeing. A great Spot for reading a good book, an evening cocktail and meeting new friends. The pool area is a favorite gathering spot for guests. So come and make Silver Palms Cottage your home away from home. 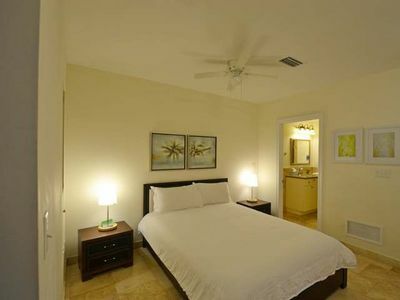 Note: We have an adjacent beachfront 2 bedroom + loft cottage on the property, which is an exact replica. 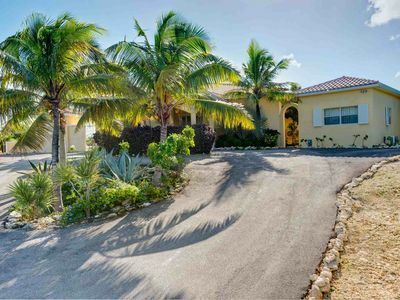 A few steps from the door and you're on Grace Bay Beach! 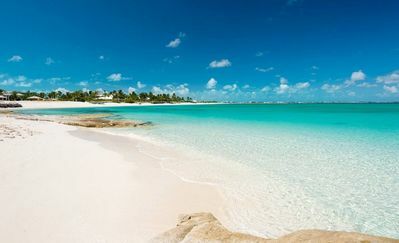 30 Seconds to the Grace Bay Beach! 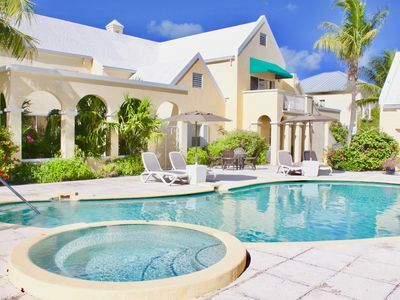 5 BR, Private Pool, Lush Gardens!!! 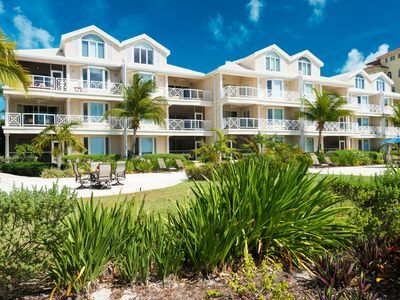 Ocean Front Condo on world famous Grace Bay Beach!! !